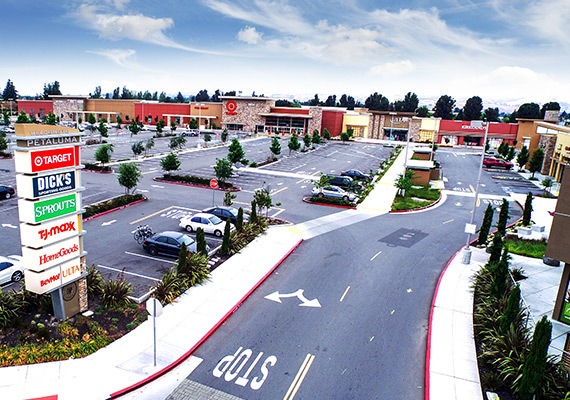 Project: Regency Centers’ East Washington Place project, a mixed-use development with Target and World Market as the anchor tenants, was proposed on an infill/brownfield redevelopment site. Challenge: Despite the applicant’s efforts to work with the Mayor and City Council by agreeing to purchase the site and help relocate a middle school, once the school was moved to a new site, many of the original project proponents switched course and came to the forefront to oppose the project. A well-organized network of neighborhood groups and former Council Members were leading the opposition. There was little to no support for the project. Opponents pushed for a delay in the project, claiming the City had an incomplete General Plan and the Council had to pass a two year building moratorium, claiming there was a lack of water resources. These two items became the center stage to delay the project. Strategy & Execution: To build a broad base of support for the project MPA worked with the media, community leaders and Council Members to ensure our messages were being heard. MPA constructed a public affairs campaign that included personalized direct mail, neighborhood coffees and one-on-one meetings with residents, businesses, police and fire unions, all of which shifted the tide and built an overwhelming wave of support for the project. MPA identified more than 1,700 supporters during the course of the effort, with more than 150 staying extremely active throughout the lengthy process. MPA worked closely with supporters, encouraging them to email and call the Council Members, write dozens of letters-to-the-editor, and most importantly, show up to the public hearings. Outcome: Approved 5-2 by the Petaluma City Council.